As Colin Kaepernick’s collusion case against the NFL moves forward, the league’s owners should be looking to settle. But they won’t… and maybe they can’t. With a new ad by Nike, and new recriminations from the amoral White House, Colin Kaepernick has been the leading topic of conversation as the NFL season gets underway. But lost in the debates about his Nike campaign—and people setting fire to their own sneakers—is what is new about his collusion case against the NFL. If NFL owners were savvy, rather than mostly legacy billionaires who live in fear of Donald Trump’s tweets, they would make every effort at this point to settle with Kaepernick. Geragos and his investigators have now been sanctioned to dig even deeper, to depose owners and executives and excavate the shadowy corners of the league that NFL owners seem to think is their birthright to keep hidden— that means e-mails, phone records, text messages. In addition, if found guilty of collusion—if Geragos can summon smoking-gun evidence, a whistle-blower or some tangible proof—the verdict could invalidate the league’s collective-bargaining agreement with the players’ union two and a half years before it is due to expire in 2021. With the season about to get underway, the NFL Players Association would have the ownership over the proverbial barrel. But NFL owners’ settling this case would be more surprising than a Cleveland Browns Super Bowl run. This is a predominantly conservative ownership fraternity that has a reservoir of cultural capital invested in making an example out of Colin Kaepernick. They need him to be a ghost story, a cautionary tale that can be used against any player who even dreams of using the NFL as a political platform to speak out against racism. Already, this strategy has proven to be disastrous. Kaepernick has instead become first a martyr, someone whose memory inspired players to keep protesting last season, and then an icon of resistance, the kind of person who gets standing ovations at the US Open. Even if NFL owners come to their senses and offer a settlement, Colin Kaepernick is not going to settle. He clearly believes that this is about more than money. It is about police violence and being vocal for those who don’t have a voice. It is about standing up to this idea that billionaires seem to have that they can silence whomever they want without repercussions. This is so much bigger than the NFL. We are about to witness a case that will determine whether the powerful can treat free speech as a privilege. 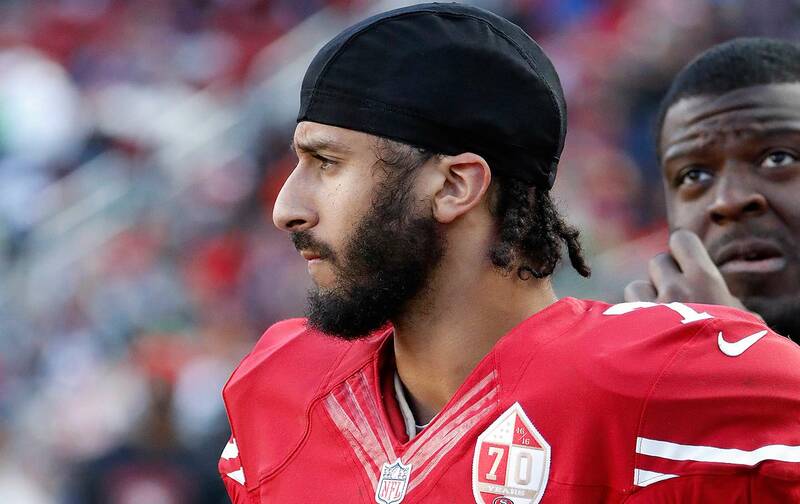 Colin Kaepernick is determined to define it as a right.